Retired Army Capt. Marcus Therrien served in Iraq as a US Army Nurse and combat medic, but those days seem long behind him now on a warm sunny day at his suburban home in Southern Maine. Marcus now works full-time for his own building company, Wood Cove Builders (“The first time I’ve worked one job in my life,” he jokes) and enjoys spending his free time with family and friends. While he misses his Army brothers and sisters, he feels that having served as an Army Nurse, he has already worked the best job anyone can work. Now, Marcus feels he’s made the best investment anyone can make: solar. The Therrien’s home boasts a solar hot water system that on a good sunny day will have his domestic hot water supply at 150 degrees Fahrenheit before lunchtime. 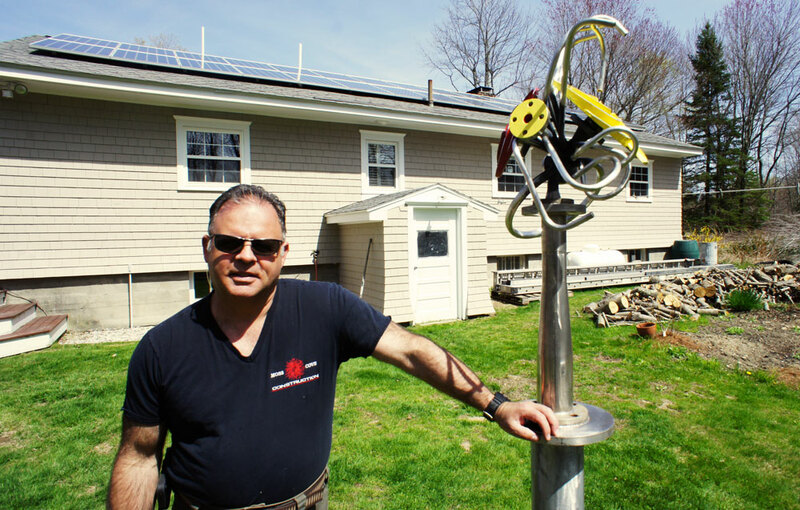 His 5.6 kw photovoltaic array generates most of the electricity consumed in his home, and allows him to enjoy guilt-free creature comforts, such as his Jacuzzi, knowing his power does not come from fossil fuel sources. ReVision Energy is proud to count Marcus and many other veterans in our clientele, and we would like to express our deepest thanks for their service to the United States. For the month of July, we are offering a special incentive – veterans of all conflicts are eligible for a $300-$500 discount on solar photovoltaic systems (depending on system size), $300 on solar hot water, and $200 on heat pump systems. The discount applies to both financed and cash purchased systems. The veterans discount overrides any other discounts available. Contact us to learn more.